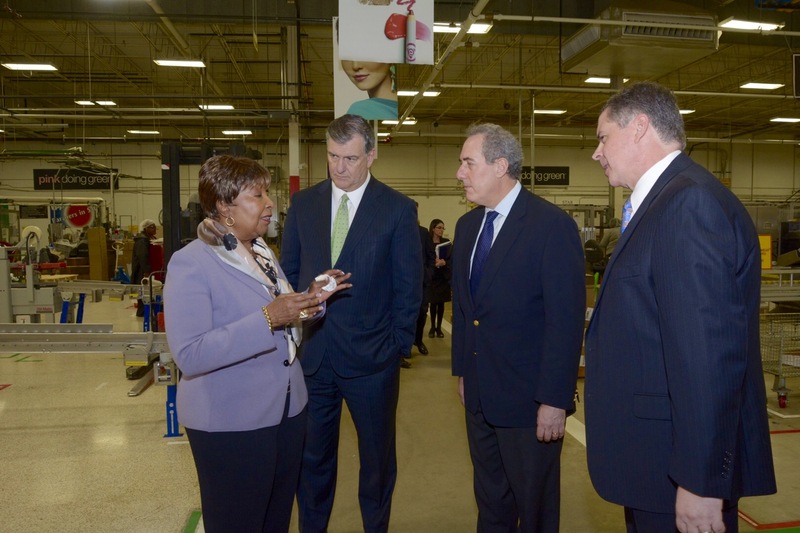 Ambassador Michael Froman (second from right), the United States’ top trade envoy, joined U.S. Rep. Eddie Bernice Johnson and Dallas Mayor Mike Rawlings today for a tour of Mary Kay’s manufacturing facility. 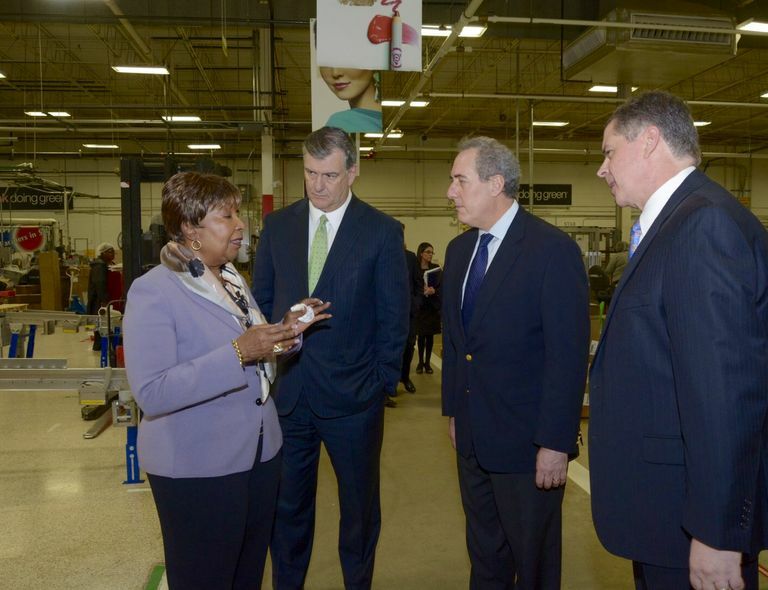 Ambassador Froman got an up-close look at how in demand our Made-in-America products are overseas, as Mary Kay Inc. exports 57 percent of all products manufactured in Dallas to our international markets. Learn more about the markets where Mary Kay operates around the world at http://www.marykay.com/en-US/About-Mary-Kay/Pages/CountrySelector.aspx.